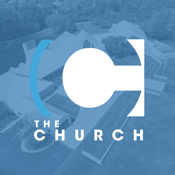 theChurch App features powerful content from Pastor Tony Scott- who leads theChurch on Strayer in Toledo, Ohio. theChurch exists to give people in the Toledo area the best opportunity to be part of a mature, Pentecostal, faith-based church. Based on the real, genuine, true worship, genuine word of knowledge, and miracles. Together, we are the kind of church described in the Bible – a church that infuses life and God’s love into people and families through relevant teaching, honest friendships, constant prayer, and compassionate care for those in need. At theChurch our doors are wide open to people from all backgrounds, regardless of where they are on their spiritual journey. So, whether you are someone just starting to ask questions about God, or a committed Christian who wants to go deeper in your faith, you can find a home here at theChurch. We invite you to an intimate relationship that guides you toward an authentic commitment to God, involving you in life-changing ministry and sharing the vision of theChurch to fulfill the Great Commission with integrity and passion. We encourage you to invite friends and family far from God to be filled with life in Christ. The theChurch on Strayer App was created with the Subsplash App Platform.